We all know that some chemical elements like iron are more abundant than others like gold. 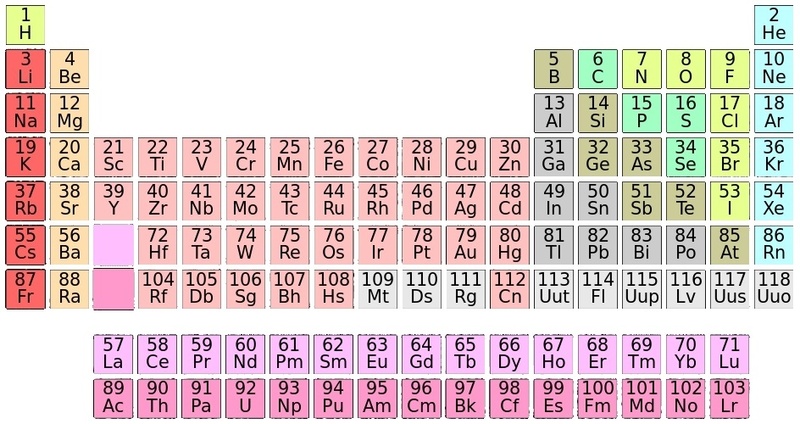 Here you can find information on all the known chemical elements. Information on different isotopes of chemical elements can be found here . Click in picture to continue. 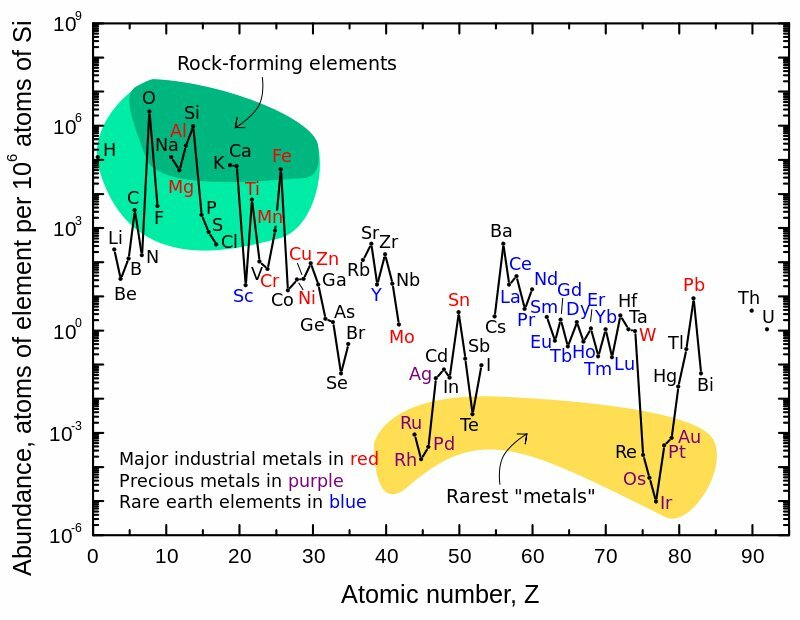 Abundance (atom fraction) of the chemical elements in Earth's upper continental crust as a function of atomic number. The rarest elements in the crust (shown in yellow) are the most dense. They were further rarefied in the crust by being siderophile (iron-loving) elements, in the Goldschmidt classification of elements. Siderophiles were depleted by being relocated into the Earth's core. Their abundance in meteoroid materials is relatively higher. Additionally, tellurium and selenium have been depleted from the crust due to formation of volatile hydrides. From the human perspective only the abundances of the chemical elements in the Earth's crust and atmosphere is relevant, but it is not typical for the Earth as a whole or for the Solar system. 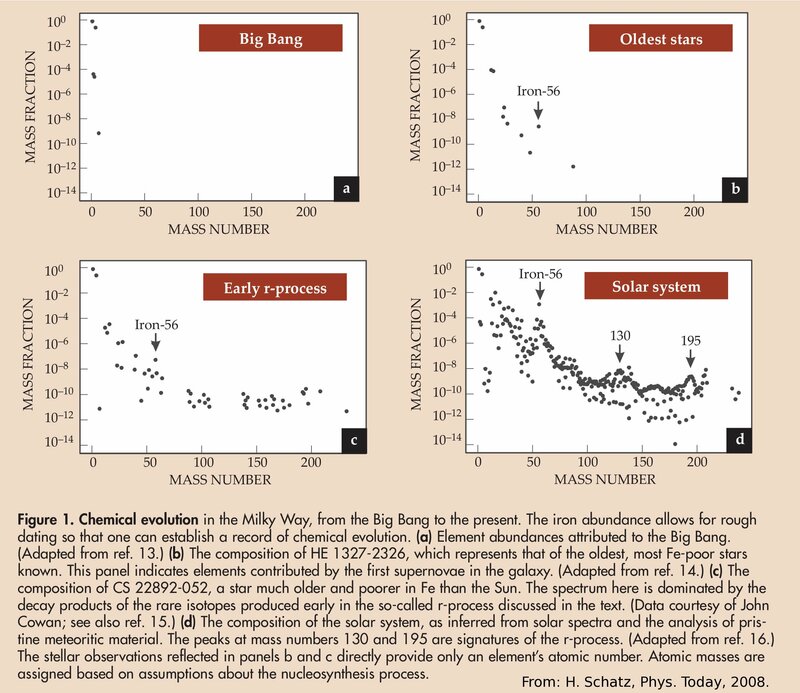 Moreover the cosmic abundances evolved during the history of the universe by nuclear reactions mainly in the cores of heavy stars and during supernova explosions. Read the complete article by H. Schatz in Physics Today here (PDF) .